Have you had dreams of becoming the next big artist and just waiting for your big break? Well here it is! TBeats Entertainment along with I Got Musik Productions are looking for the next great singers. 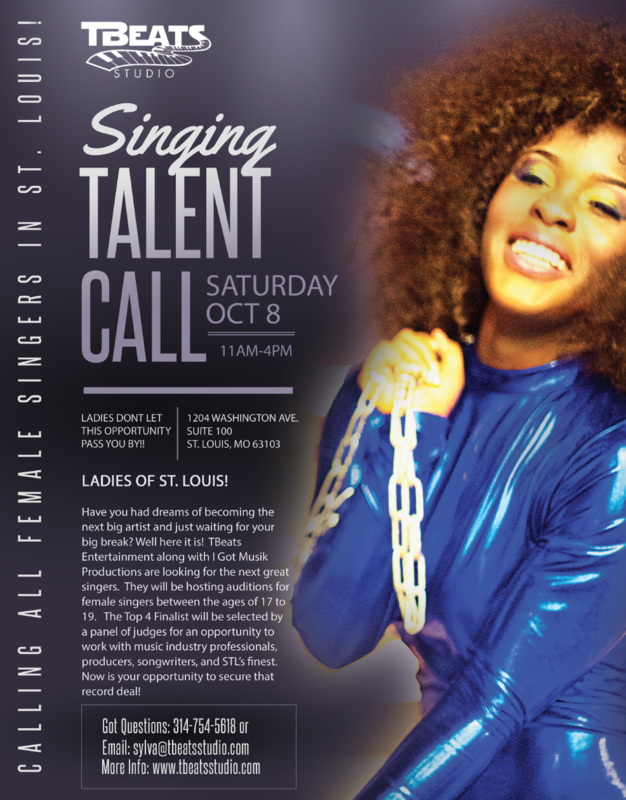 They will be hosting auditions for female singers between the ages of 17 to 19. The Top 4 Finalist will be selected by a panel of judges for an opportunity to work with music industry professionals, producers, songwriters, and STL’s finest. Now is your opportunity to secure that record deal! Come out on Saturday, October 1, 2016 at 1204 Washington Avenue from 11am – 4pm.